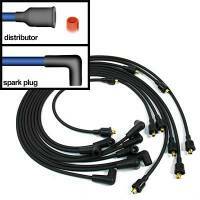 PerTronix Distributors are designed for maximum ignition performance and easy installation. Pit Stop USA is The Online High Performance Superstore! 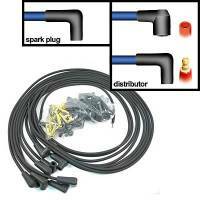 We feature BMC Distributors at low everyday prices. Pit Stop USA is The Online Motorsports Superstore! 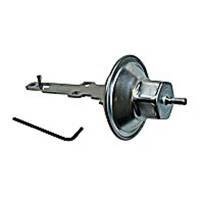 We feature Coil Brackets & Clamps at low everyday prices. Pit Stop USA is The Online High Performance Superstore! 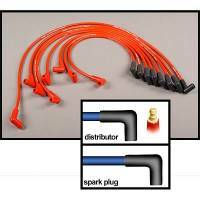 We feature Continental Distributors at low everyday prices. Check out the Recently Listed Distributor Caps. 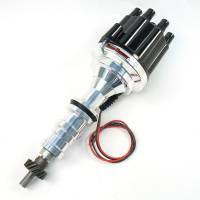 Check out the Recently Listed Distributor Electronic Conversion Kits. 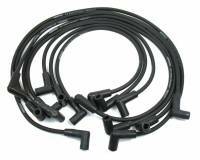 Check out the Recently Listed Distributor Ignition Modules. Check out the Recently Listed Distributor Magnets. Check out the Recently Listed Distributor Rotors. Check out the Recently Listed Distributors. Pit Stop USA is The Online Motorsports Superstore! 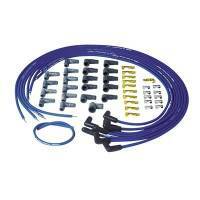 We feature HEI Tune Up Kits at low everyday prices. Pit Stop USA is The Online Motorsports Superstore! 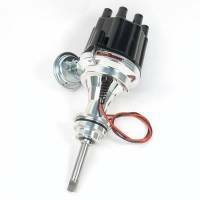 We feature Ignition Boxes & Controls at low everyday prices. 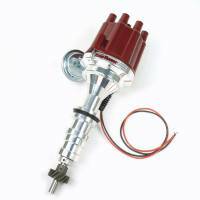 Check out the Recently Listed Ignition Boxes and Controllers. Pit Stop USA is The Online Motorsports Superstore! 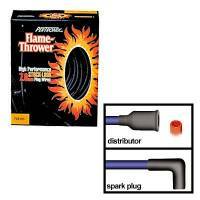 PerTronix Performance Products was founded in 1962 as Per-Lux. 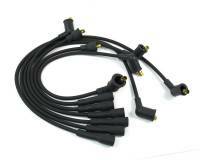 The name changed in 1991 to PerTronix signaled the company's total commitment to the ignition business. 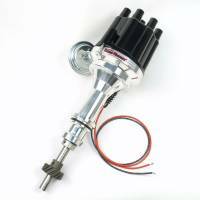 PerTronix Plug-N-Play Billet Distributors are designed for maximum ignition performance and easy installation all at a price that you can afford. 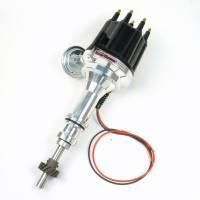 PerTronix Race HEI Distributors use all new components and feature an electronic module and coil combination that optimizes spark energy and peak current to the spark plug in the 6000 to 8500 RPM range. 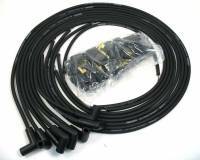 Great for both circle track and drag race applications where factory type HEI distributors are mandated. PerTronix Flame-Thrower HEI distributors are built from the ground up with all new components. PerTronix has engineered a special module and coil combination that operates without misfires beyond 7500 RPM. Thatas nearly 3000 RPM higher than most original HEI distributors. 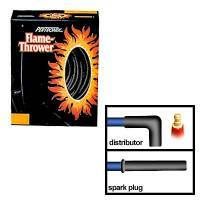 Flame-Thrower HEI distributor produce 67% more energy with a 45% faster spark breakdown time when compared to the stock HEI. 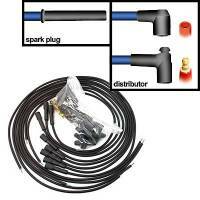 PerTronix Flame-Thrower HEI Tune-Up Kits include street-strip 4-pin module and coil combination, premium rotor and cap, custom Flame-Thrower coil cover, adjustable vacuum advance canister, hi-performance advance kit, wire harness and capacitor, and complete installation hardware. 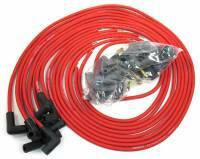 PerTronix "Race Only" HEI tune-up kits include matching coil and module, wiring harness, vacuum lock out, advance weights, springs, bushings, cap, rotor, dust shield, and necessary hardware. 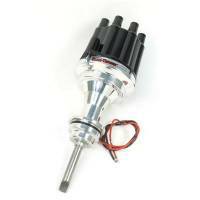 PerTronix Flame-Thrower digital rev limiters work with any 4, 6 or 8 cylinder engine using points, OEM electronic (GM HEI, Ford, Chrysler) or aftermarket inductive type ignition systems including our very popular Ignitor and Ignitor II points replacement systems. 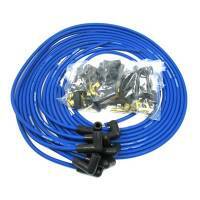 We feature PerTronix Performance Products at low everyday prices!